Chinese Martial Arts Master, Dr. Shin Lin was a contemporary of Bruce Lee, training under the same martial arts master for physical training, enhancing health, fighting and self defense. 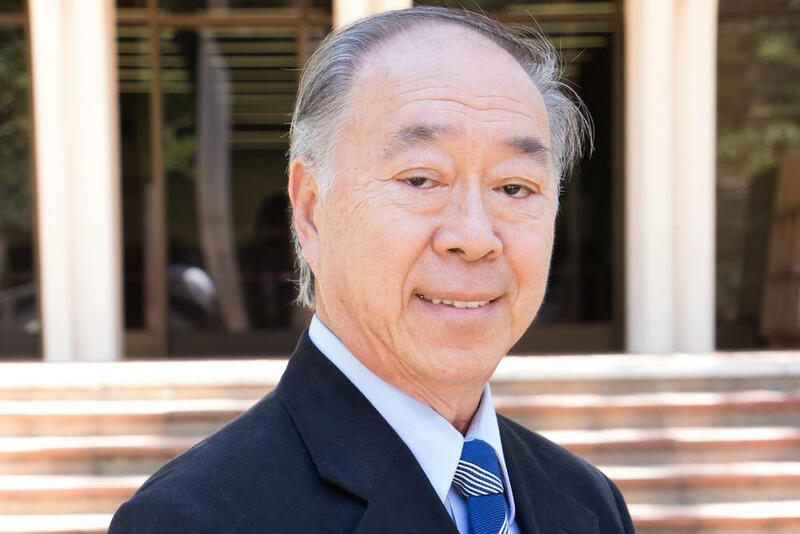 Dr. Lin is the past Chairman of Biophysics at Johns Hopkins, trained in many forms of Chinese medicine, including acupuncture. He had a question, he wondered how electrical energy can affect cellular movement and what is the role of Qi? After being recruited to the role of Dean of the School of Biological Sciences at UC Irvine, he set out to find the answer. He and the members of his laboratory designed experiments to scientifically measure what specific movements benefit the mind and body the most. They successfully explored the question of what Qi, the ancient concept of vital life energy, is and how it is enhanced through Tai Chi, Qi Gong and Chinese medicine. Their findings are remarkable! Dr. Lin says, “From the yin comes the yang, from the yang comes the yin.” The concept of Prana or Ki as it is known in other cultures has existed for thousands of years. And now, through the work of Dr. Lin and his team, we have a much greater understanding of its complicated and sophisticated operation in the physical body. Science has proven that physical exercise increases the number of cells in the hippocampus and can inhibit the stress response. Moving meditation helps not only the psychological side but enhances cell production. With the biomedical devices created and utilized by his team, Dr. Lin was able to go about measuring the release of heat and biophotons – a bluish green light, emitted by the body at a rate of less than ten photons per second (a million a second put out by a light bulb.) They built a single photon counting system and built devices to measure electrical output. And are now able to prescribe meditative movements to match specific ailments. So if you need to rejuvenate your system, a few minutes of focused repetitive movements may be just what you need to boost your energy both physical and vital, increase seratonin, mental acuity and focus, to reduce pain or inflammation. Health enhancement and general maintenance benefits such as better sleep better and stronger muscles and bones are a committed Tai Chi practice away. PreviousPrevious post:What Would Buddha Say About Our Free Market Economy?